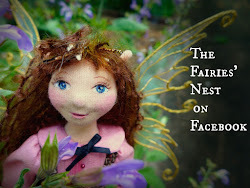 The Fairies Nest - OOAK Cloth Dolls & Fiber Fantasies: Maeve is in the Running! I already saw it and voted. And you are on top girl, so deserved! I voted for you - you are way way way in the leed - Ganna keep my fingers crossed. How brilliant!!!! Congratulations! She is gorgeous! I am off to put my vote in now for you! I just love her and gave her 3 votes! 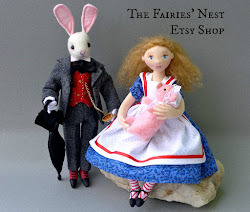 I cannot conceive that there would be any doll more wonderful than one of yours - it's a shoo-in you'll win! How exciting! I went and voted for you! I get so many compliments on your Rose Red and Snow White dolls! I tell them to go to your site and see all your great work! Wonderful! And so exciting if she won. I am going to vote now! You rock! I AM SO EXCITED FOR YOU!!!!! All I can say is WOW! 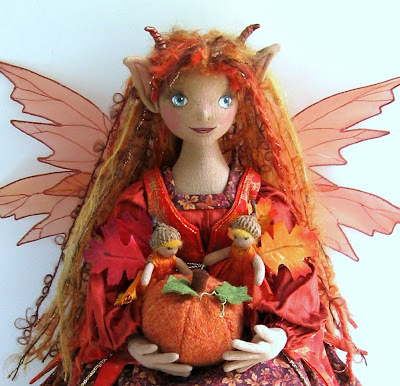 I make dolls just for fun, I know how much work and art went into Maeve. You should be very proud. I looked around at some of your others and they are all lovely. You are an artist! I am inspired. I just stumbled across your website and saw your blog. 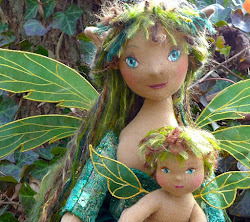 I just love your fairy dolls. You are very creative. I can't say enough about them.